“Prepare for disappointment” from Robert Mueller? Oh give me a break. I’ve spent the past four days simply ignoring the infamous Politico article titled “Mueller report PSA: Prepare for disappointment.” The trouble: Palmer Report readers keep asking me whether there’s any validity to it. Politico is a normally solid news outlet, but in this instance, the article in question is nothing short of opportunist scaremongering in the name of – successfully – generating a whole lot of unearned page views. So let’s try to set the record straight here, if only so we can move on from it. The first giveaway that something is wrong is when Politico admits that some of its sources for the article are “defense lawyers working on the Russia probe.” That’s a reference to the lawyers who have been hired to get Donald Trump and/or his people off the hook in the Trump-Russia scandal. These are not people you’d rely on as unbiased sources when you’re trying to get to the bottom of what Robert Mueller is going to end up doing, because these are literally the people being paid to try to make sure Mueller’s investigation doesn’t go anywhere. Of course these lawyers going to publicly predict it won’t go anywhere; that’s what their paid clients want to hear. Quoting them as legitimate sources is journalistic malpractice. There’s also this very weird sentence: “The public, they say, shouldn’t expect a comprehensive and presidency-wrecking account of Kremlin meddling and alleged obstruction of justice by Trump — not to mention an explanation of the myriad subplots that have bedeviled lawmakers.” Seriously? From what we’ve seen out of Robert Mueller up to this point, his entire investigation is based on being comprehensive. He and his cohorts have busted everyone from ringleaders like Paul Manafort, to the obscure nobody who helped create the fake IDs used by the Russians. In fact he dug so deep into Manafort, he even nailed him for things like the ostrich jacket. Mueller is that comprehensive. Yet when it comes to Trump, we’re supposed to expect that Mueller is simply going to hand in a one-page book report and go home? But the most exasperatingly nonsensical part of this article is the notion that the report might not ever become public. Sorry, but no, that’s not how anything works. If the Democrats take the House, Mueller will give them the report, and they’ll go to town with it. If the Republicans keep the House and Senate, then Mueller will release it publicly, or move to directly indict Trump, or both. Rod Rosenstein technically gets to make Mueller’s decisions, but thus far we’ve seen Rosenstein and Mueller in 100% lockstep together. And if Trump did try to fire Rosenstein, that would only prompt Rosenstein to put things in motion on his way out the door. 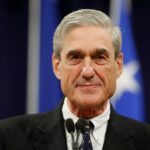 Finally, this entire article (no, I’m not going to link to it; Google it if you want to waste your time reading it) is based around the idea that Robert Mueller is too tepid to make aggressive moves, and too stupid to account for the possibility that the Republicans might win the midterms, when everything we’ve seen out of Mueller is that he’s overly aggressive and overly strategic. Unless you think Mueller is some kind of complete idiot, there’s no reason to expect that he’s going to meekly come out on the losing end of this. The bottom line is that we’re getting very close to finding out what Robert Mueller really has up his sleeve, but we don’t know anything for sure right now – and the resulting vacuum makes it far too easy to prey upon people’s fears by feeding them baseless doomsday hype. Again, Politico is normally far better than this. The best thing you can do is to simply stop spreading that nonsensical “Prepare for disappointment” article. Simply let it fade away, instead of rewarding its author by giving him the unearned page views he was clearly seeking when he wrote it.